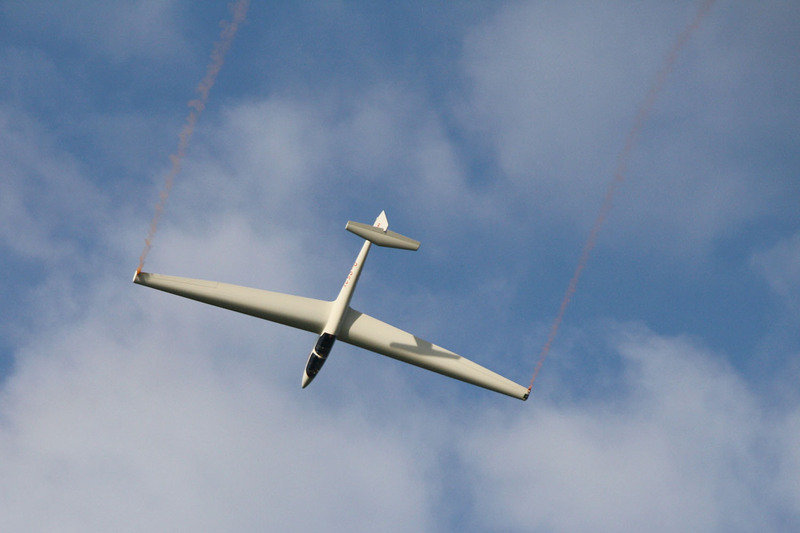 Instruction, aerobatics, performance, fun to fly for two up. 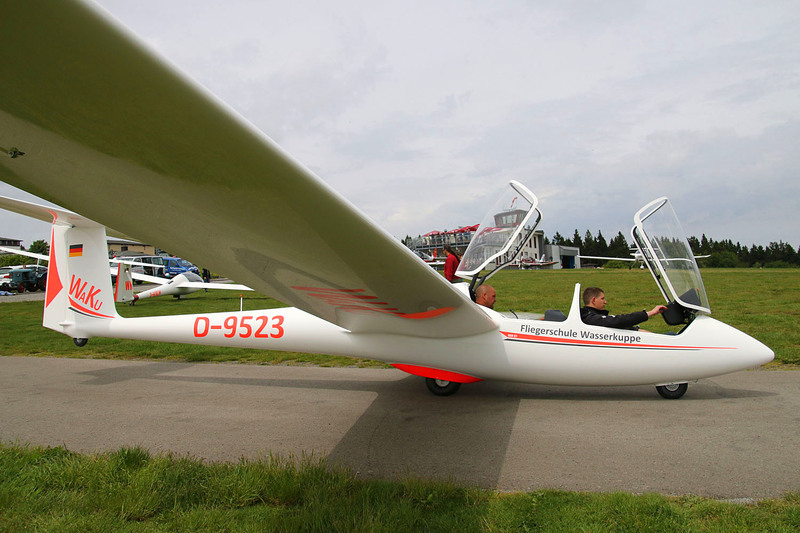 Robust, durable, stable in value - a trainer like no other! 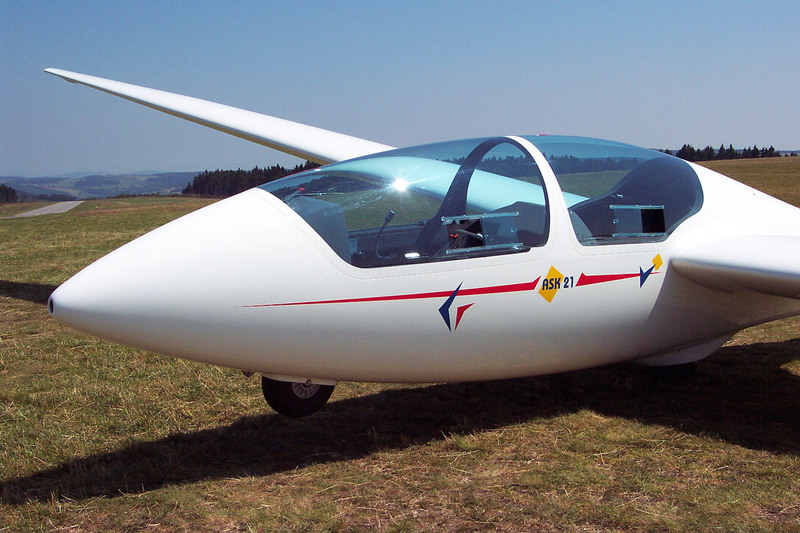 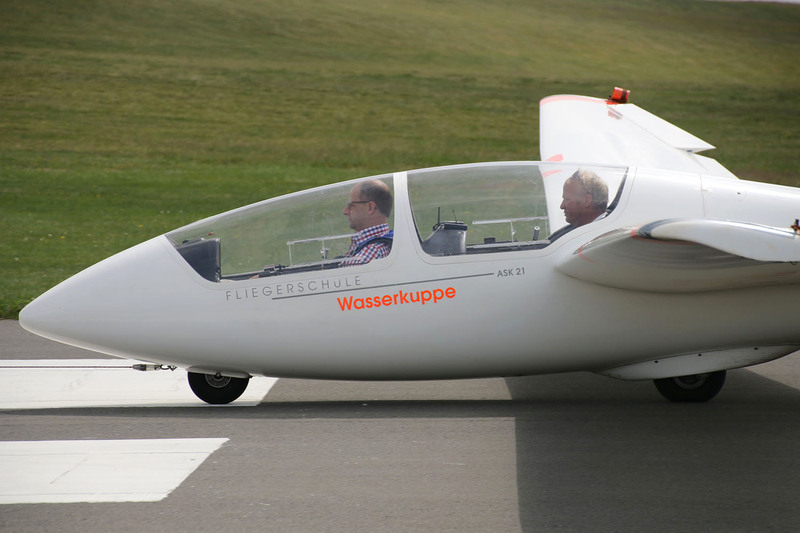 The ASK 21 is a two-seater mid-wing with 17m span, designed by Rudolf Kaiser, one of the most important sailplane designers of our time. 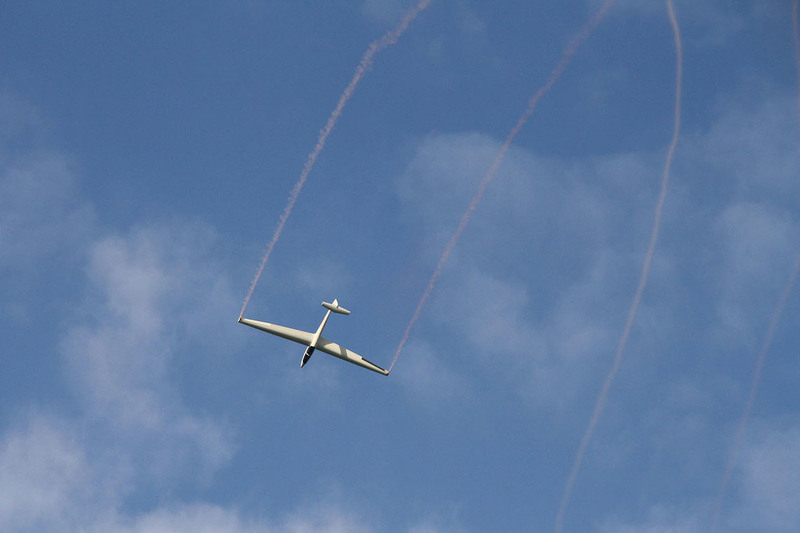 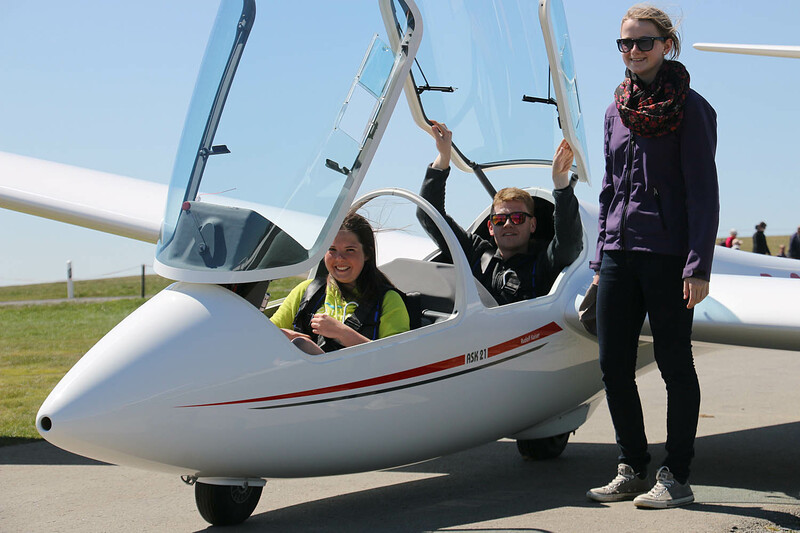 No other 2-seater has turned a larger number of students into solo pilots and no other glider has carried more new pilots through their first flight and cross country training to competition flying. 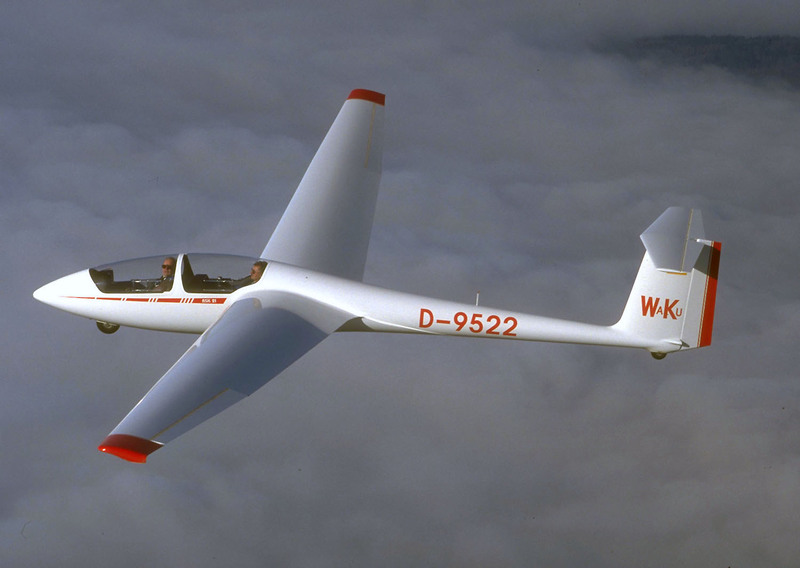 The backbone of every club is a reliable fleet of training aircraft. 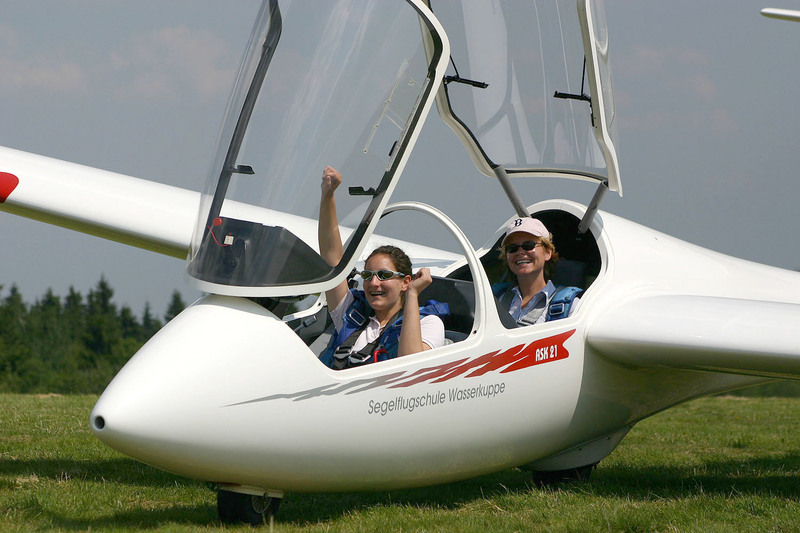 With the ASK 21 instructors get a training tool that puts enjoyment and fun back into flight training. 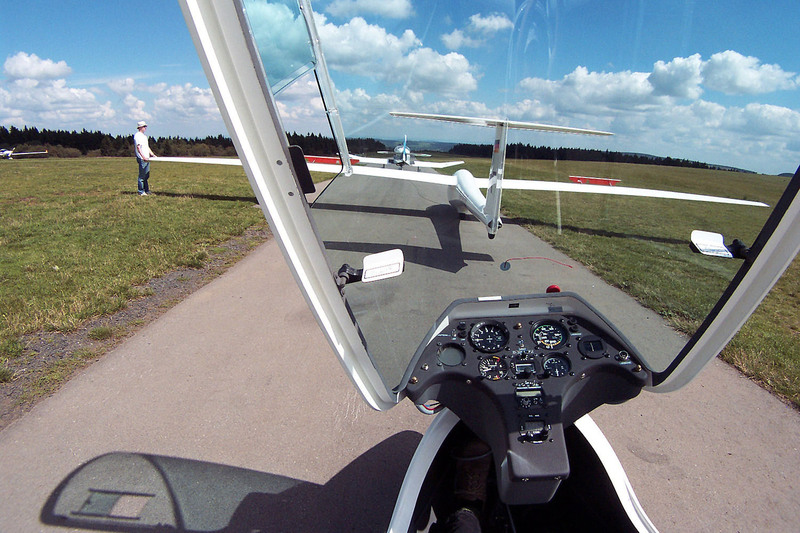 Very docile flight characteristics combined with an easy handling – both on the ground and in the air – make the aircraft a true favourite amongst instructors. 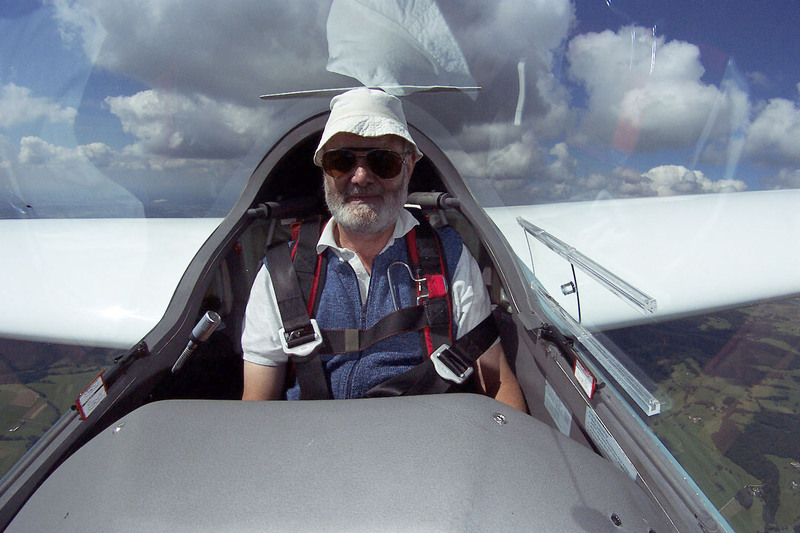 Thanks to its roomy and comfortable cockpit, excellent visibility and pleasant handling, instructors find flight training no longer a chore but an enjoyable experience. 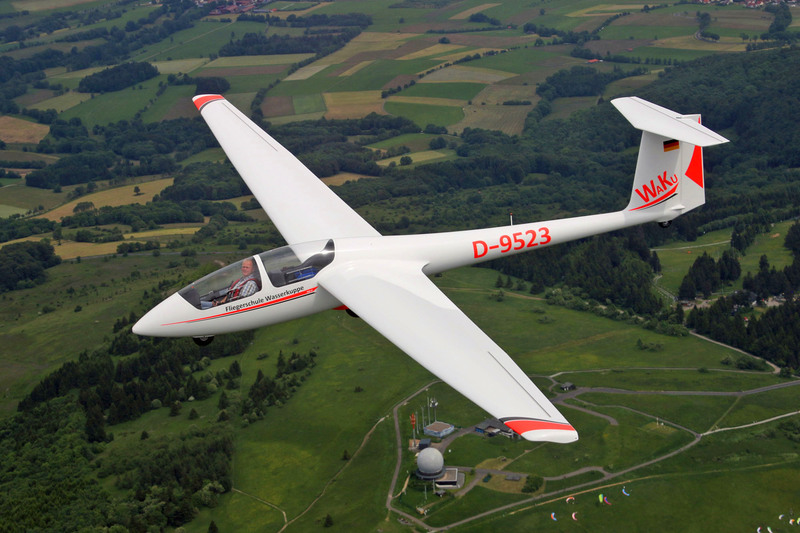 The ASK21 is the first glider ever to be certified for 18000 hours of service due to an extensive evaluation. 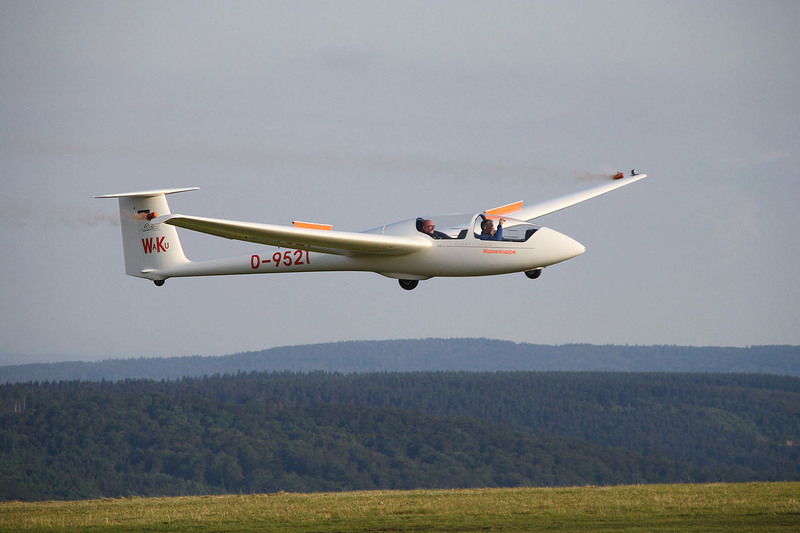 This is a clear proof of the high quality standard of Schleicher gliders in general and the ASK 21 in particular. 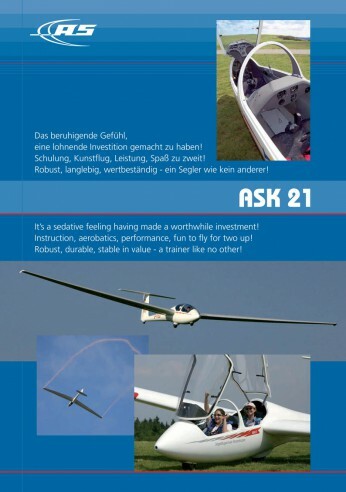 More than 900 ASK 21’s have already been built .They can be found worldwide at clubs and flying schools. 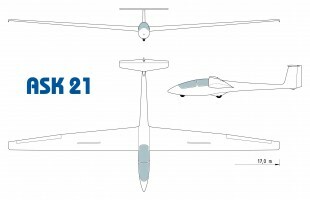 The demand is still as strong as ever – proof that the ASK 21 has set new standards and earned an enviable reputation for extreme reliability in a demanding training environment. 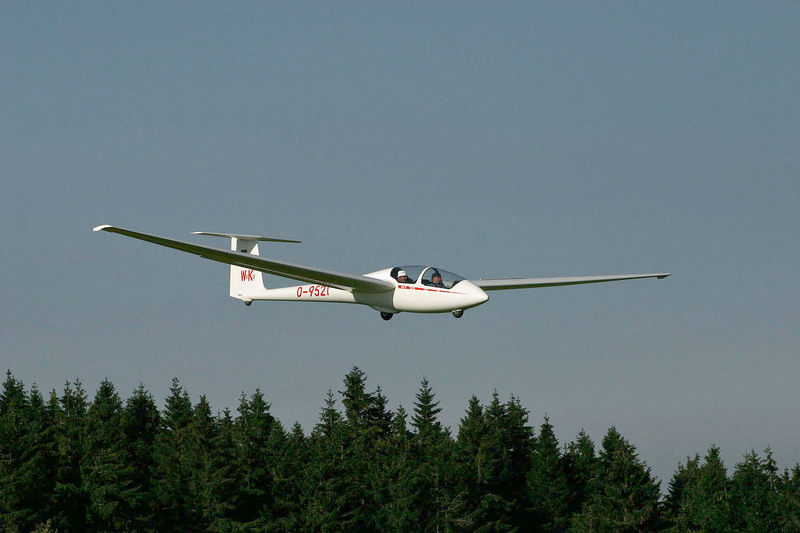 But more than that, the ASK 21 stands for low maintenance and for retaining value like no other glider. 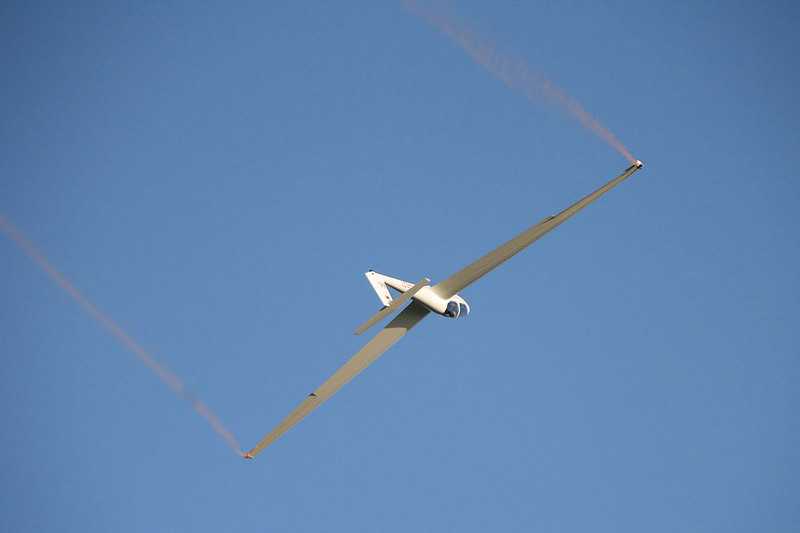 This aircraft stands out particularly by its wide range of flying tasks. The ASK 21 accompanies the student pilot from instruction up to the first cross-country or competition flights. 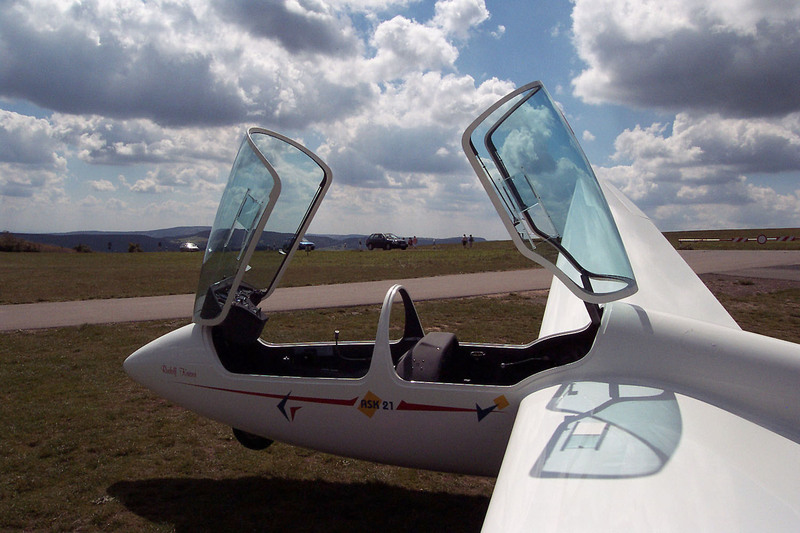 The experienced pilot may use its suitability for aerobatics and cloud flying. 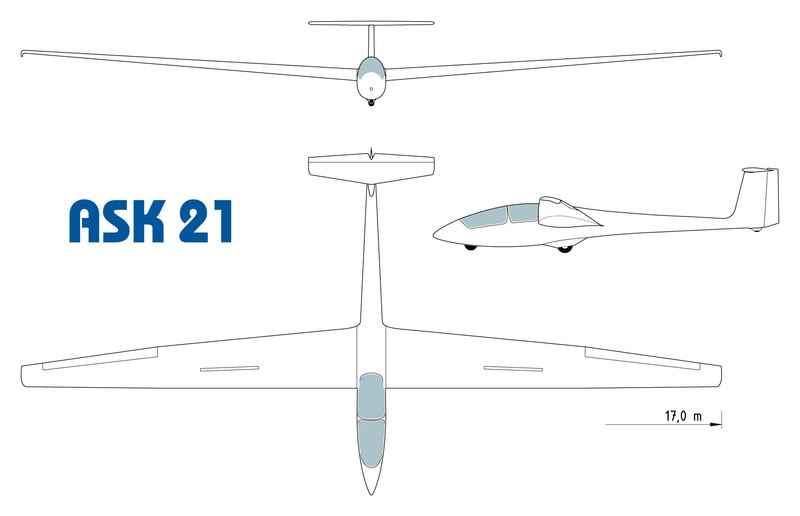 Due to the low tail weight the ASK 21 has an easy ground handling. 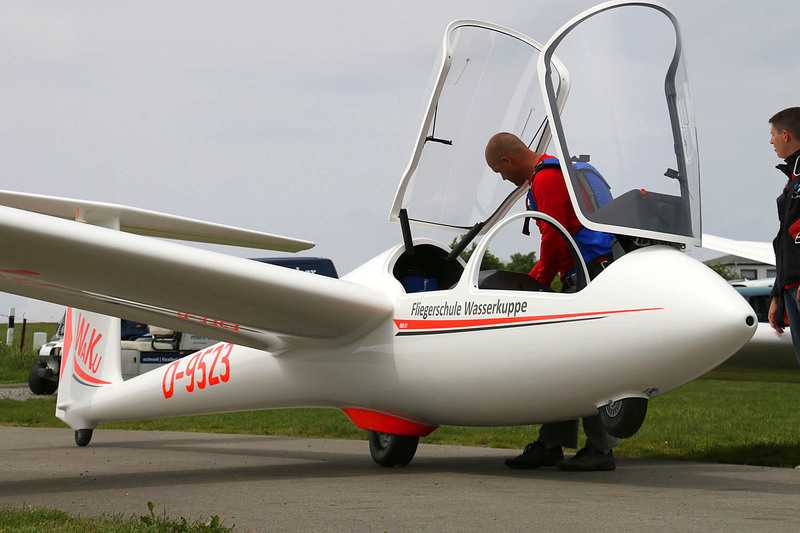 When empty the glider is finely balanced on its main wheel eliminating the need for a tail dolly for ground handling. 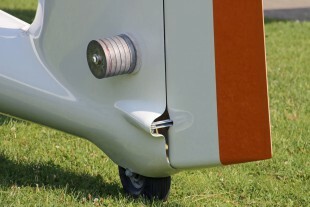 Moreover; the low all-up weight pays off also for winch launches where considerably more height in tow is gained compared to bigger and heavier two-seaters. 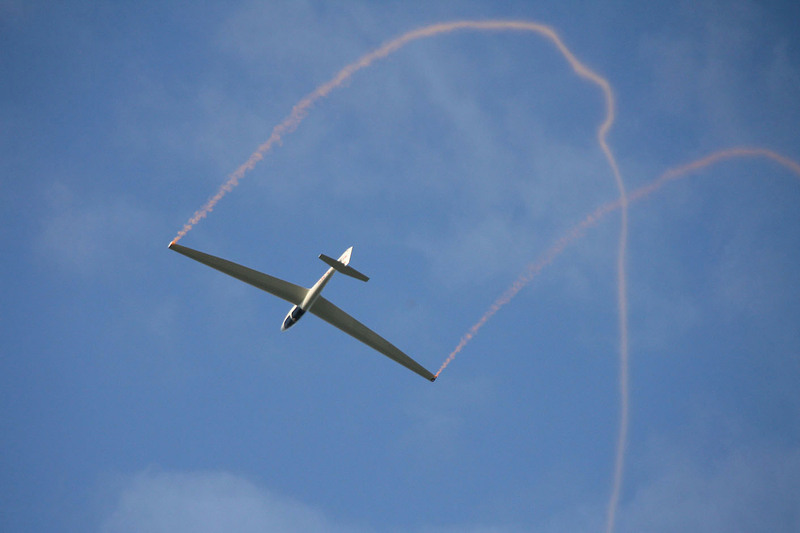 This is a pre-condition for an effective instruction operation in flying circuits or for reaching thermals. 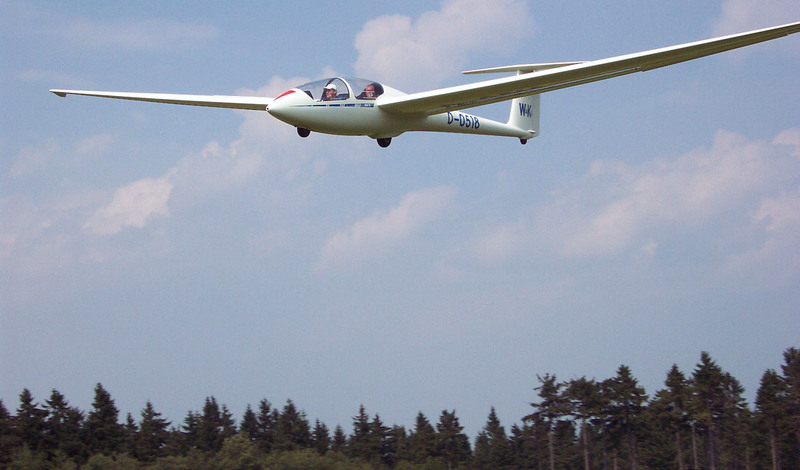 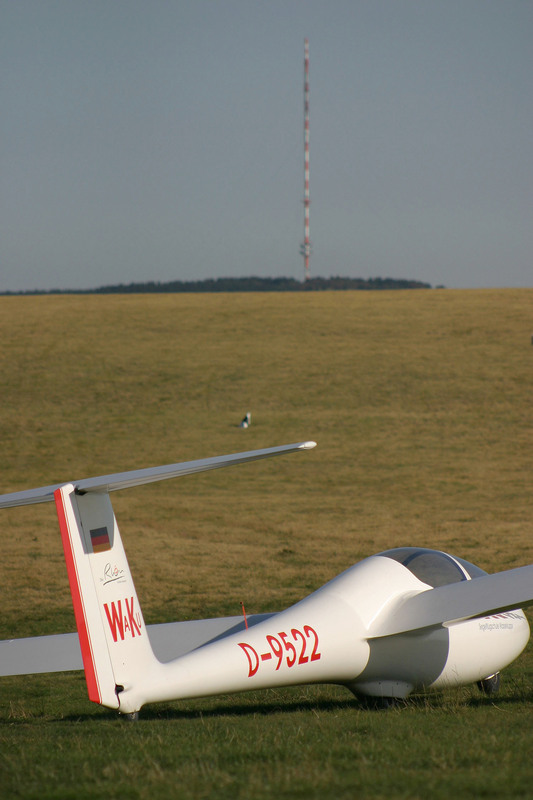 The ASK 21 is also popular with trainees due to its tolerant low speed behaviour and forgiving flight characteristics. 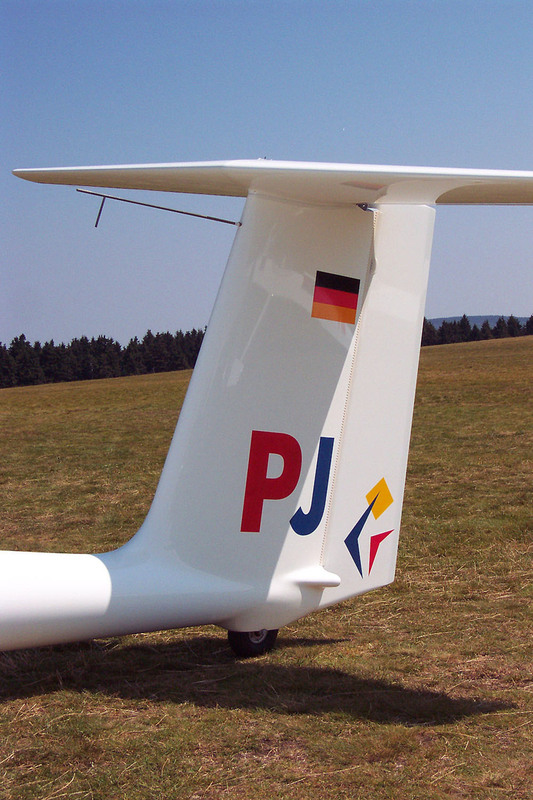 A low wing loading of only 24.5 kg/m² (at a payload of 85 kg) adds to the pleasant thermalling characteristics and gives the ASK 21 the ability to climb even if thermals are weak. 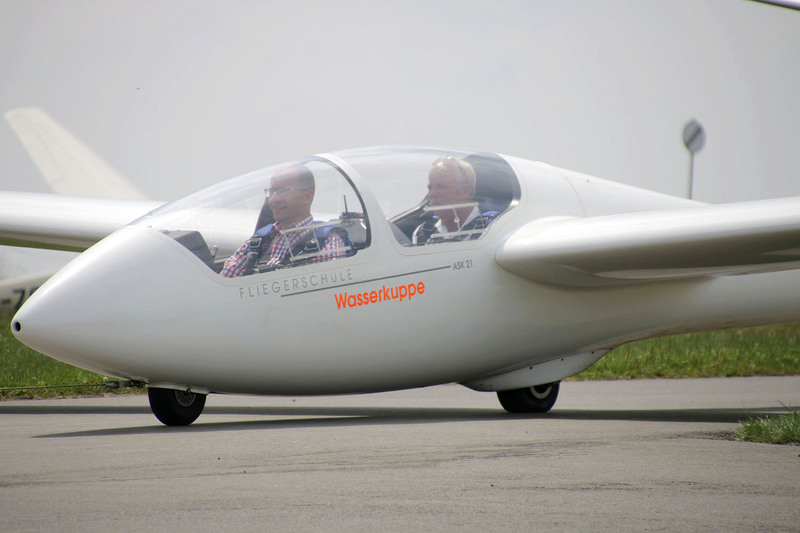 While on the ground the aircraft rests on both main and nose wheel. 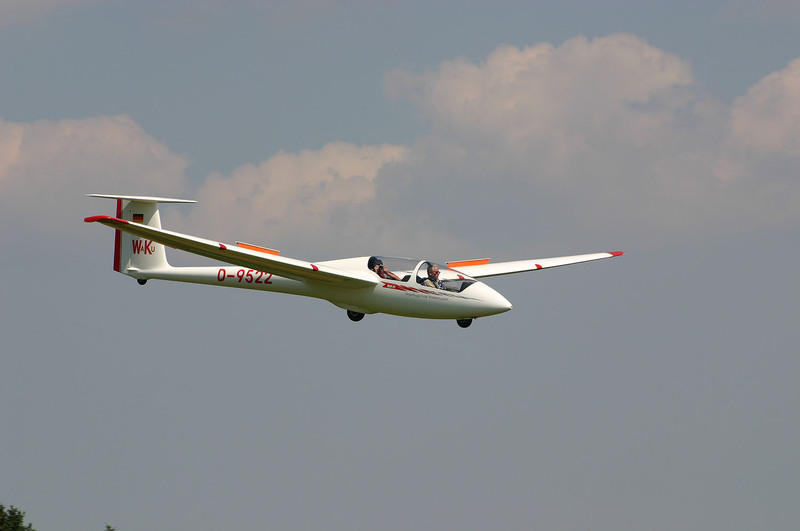 Therefore it has rectional stability during take off and landing and an easy trainee workload. 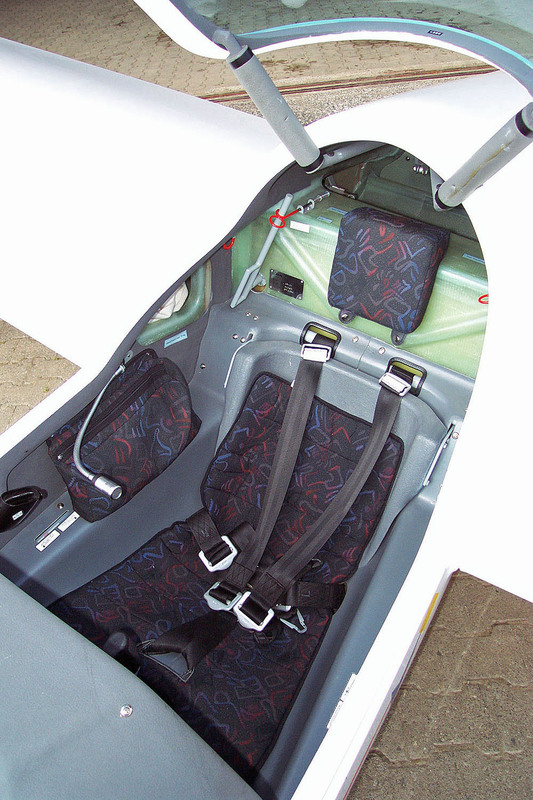 The ASK 21 features a safety cockpit in double wall GRP honeycomb design. 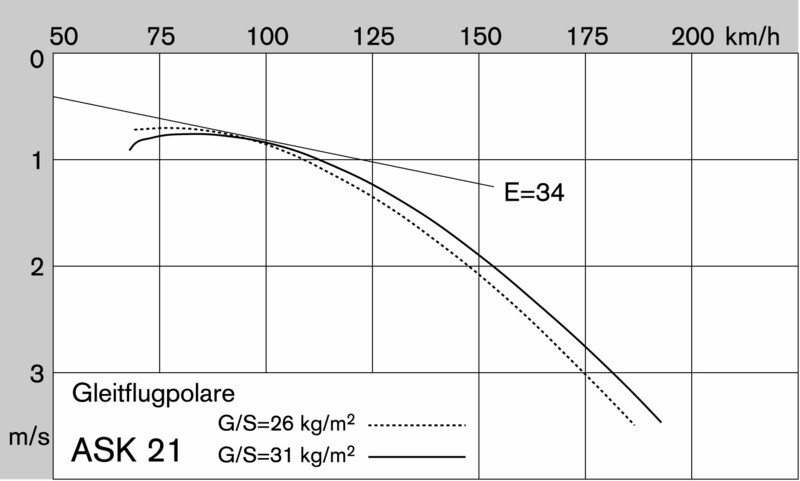 This robust sandwich construction not only offers an unrivalled degree of pilot protection and passive safety but also minimizes the weight of structural components. 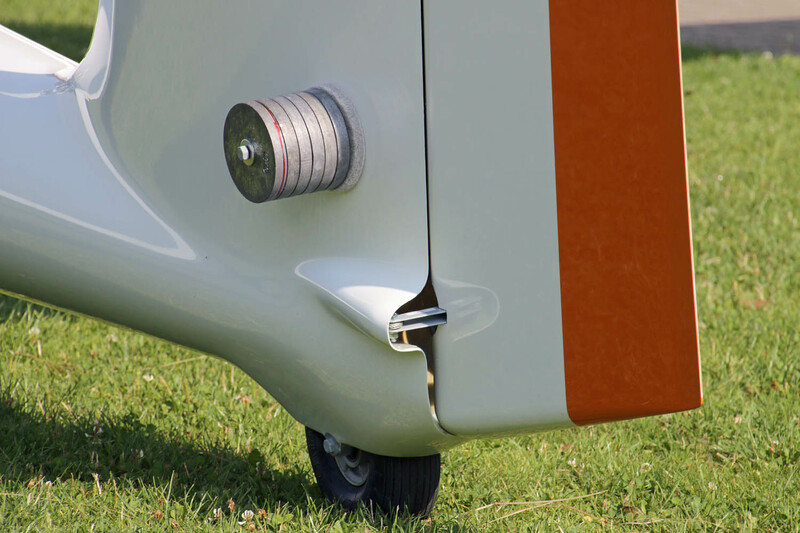 In addition the fixed undercarriage with a large diameter main wheel features very generous rubber shock absorbers. 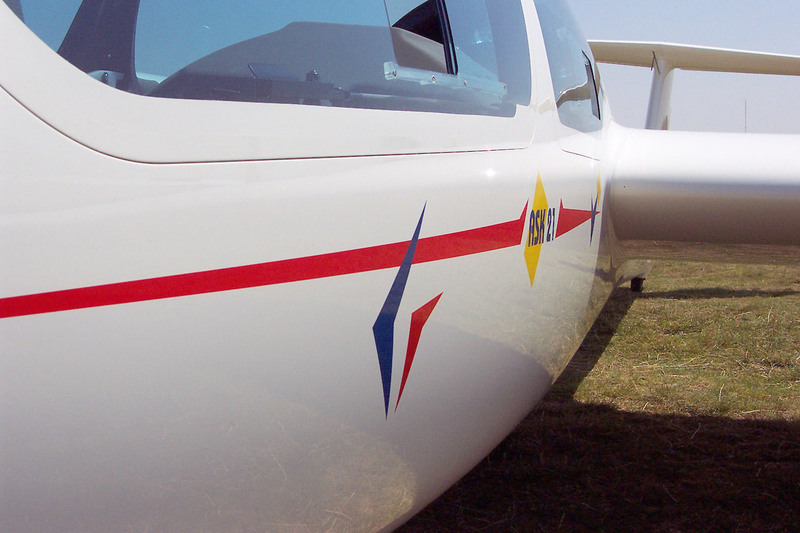 They take care of the roughest airstrips and protect the backbone of the flight instructor and also the student . 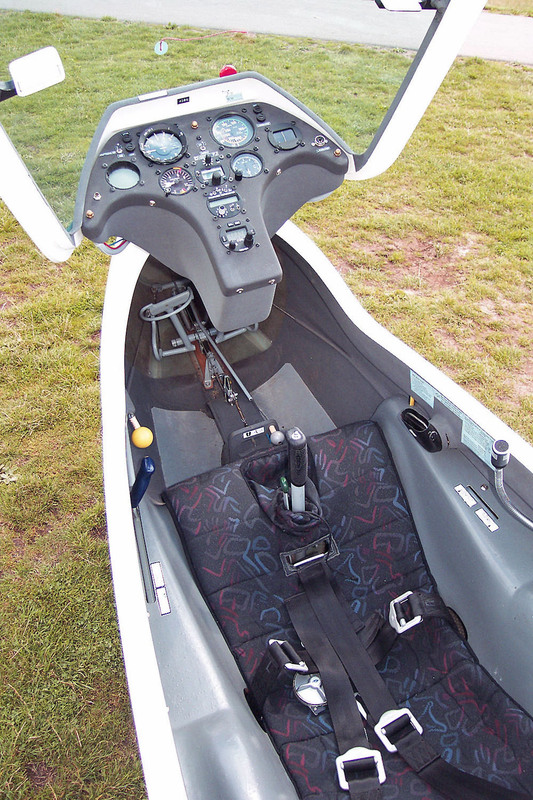 The canopies are hinged for and aft and together with the upwards hinging instrument panel in the front seat they offer a comfortable entry and exit. 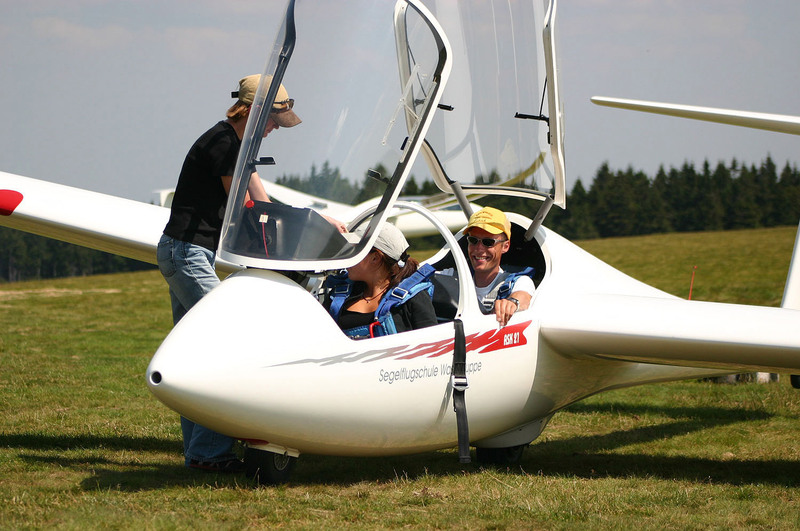 Additional safety features include a large two-piece canopy with structurally integrated roll cage and a smart interlock mechanism to guarantee safe locking of the rear canopy which is valuable on solo flights or when carrying passengers. 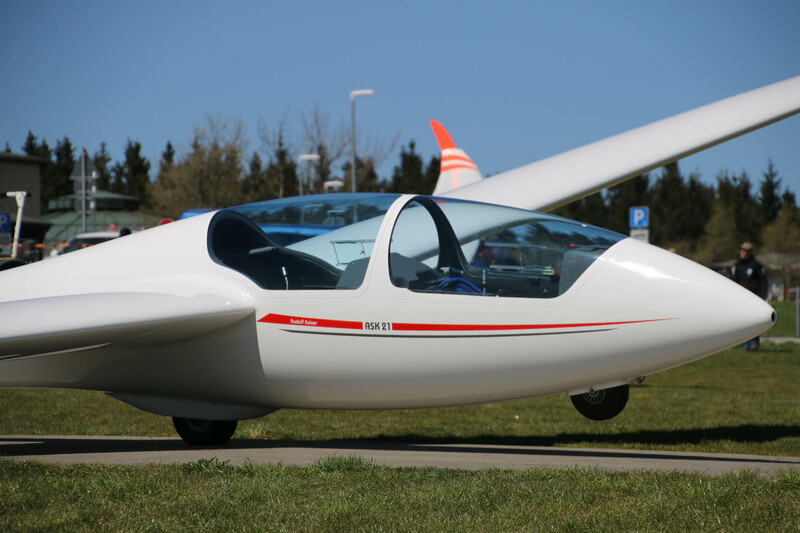 A welcome by-product of the two-piece canopy is a gap-less canopy fit and a tight seal even under most extreme temperature conditions. 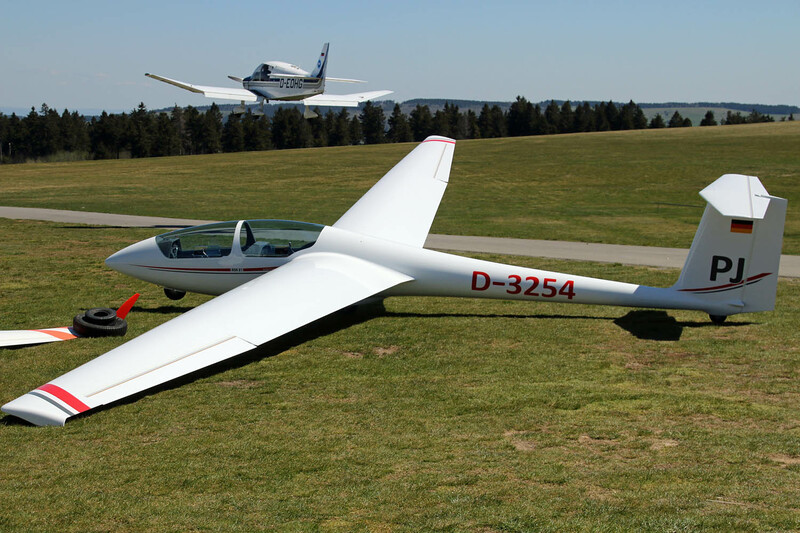 The two-part double-tapered wing is built as a fiberglass sandwich with hard foam core; the GRP roving wing spars use a conventional tongue and fork spar extension which give a straight-forward wing assembly. 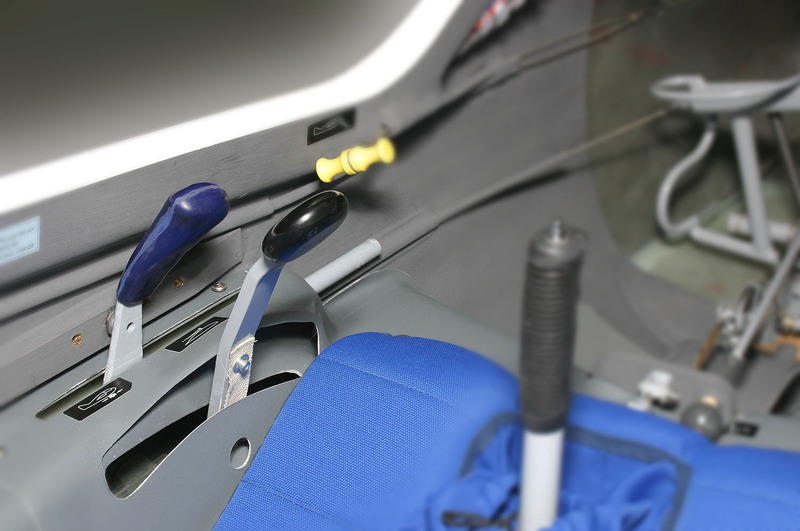 All control system push rods are running smoothly in low-maintenance anti-noise ball-bearings. 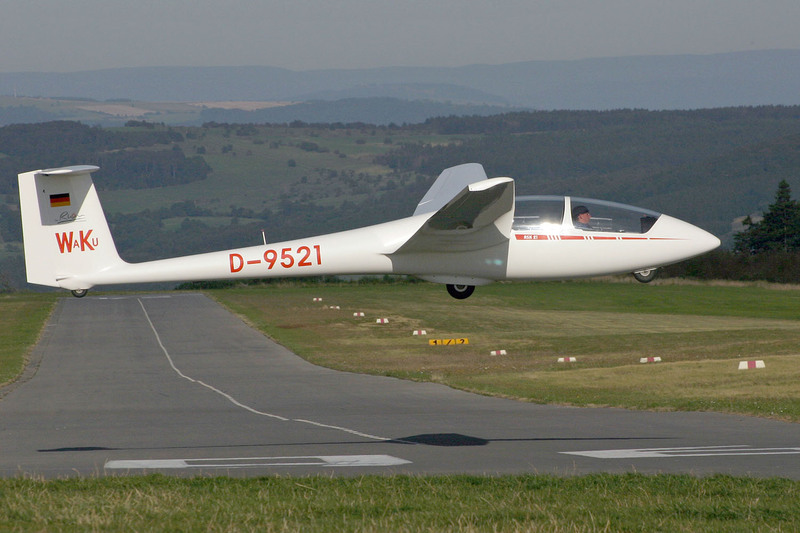 There are very effective large dive brakes on the wing upper surface which give very good manoeuvrability even in case of steep landing approach. 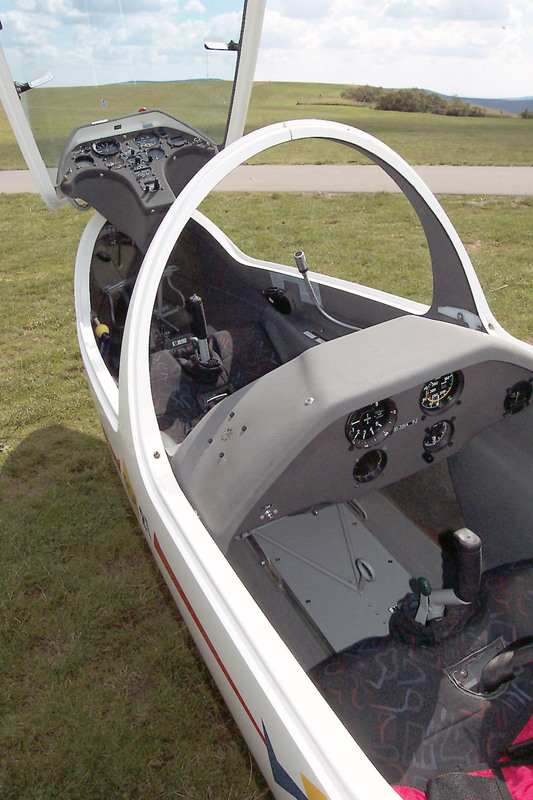 The rudder is actuated by stainless steel cables. 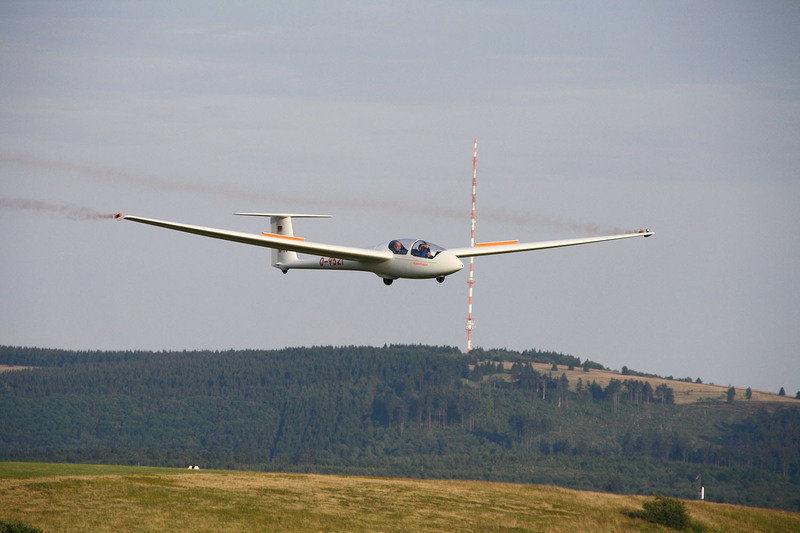 The tailplane is fitted with an automatic elevator connection which, on rigging, ensures that the stabilizer can be assembled only when the elevator control is correctly connected. 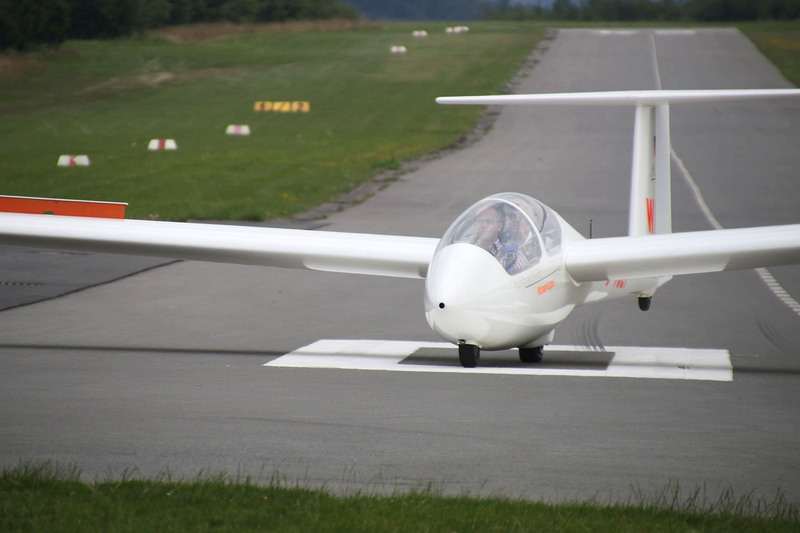 The low actuating hand forces are particularly comfortable and guarantee non-fatiguing flying even with long flights. 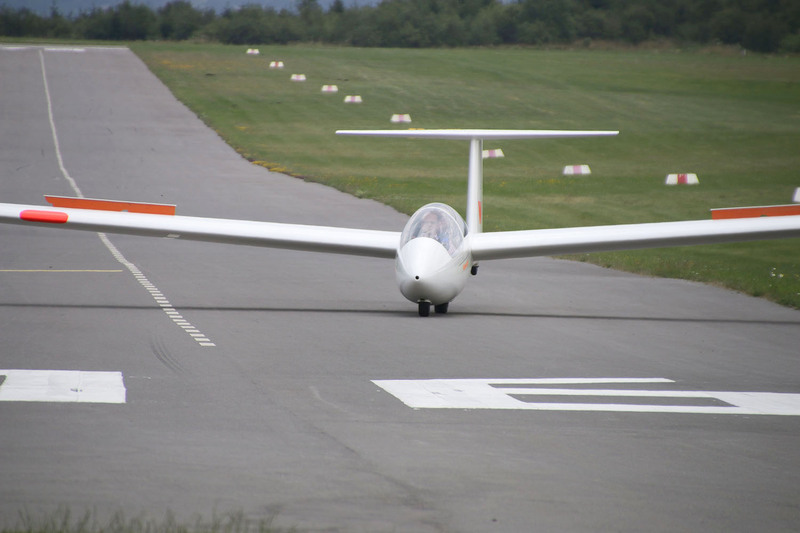 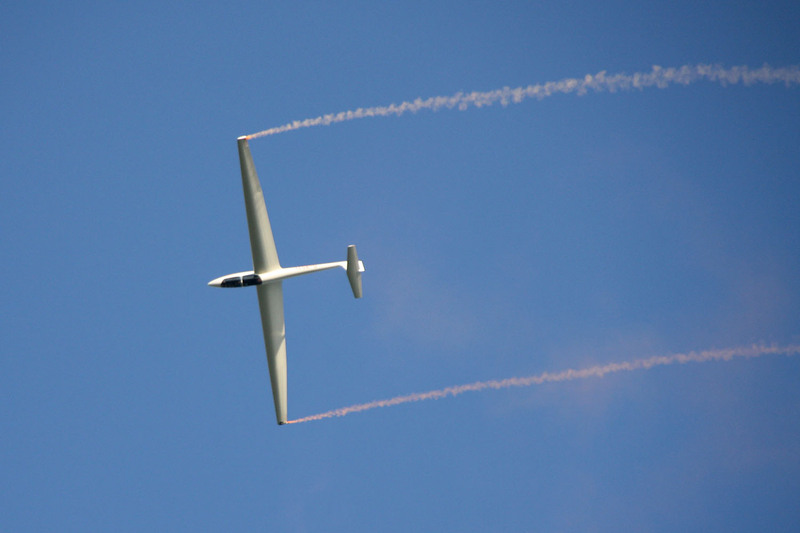 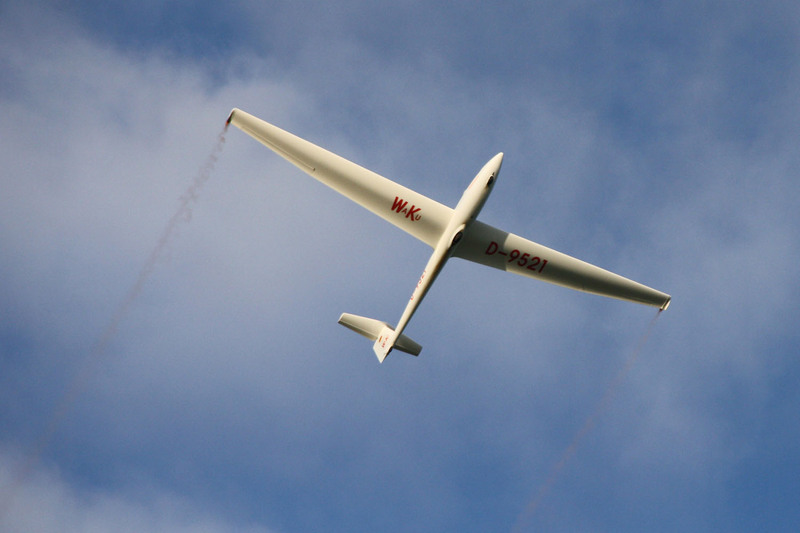 Is it possible for handicapped pilots to fly the sailplane? 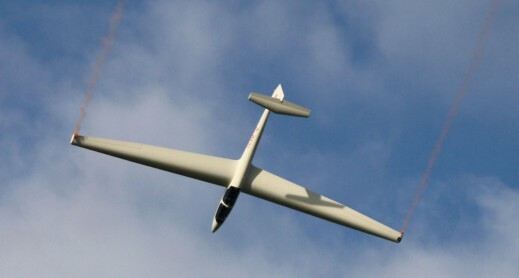 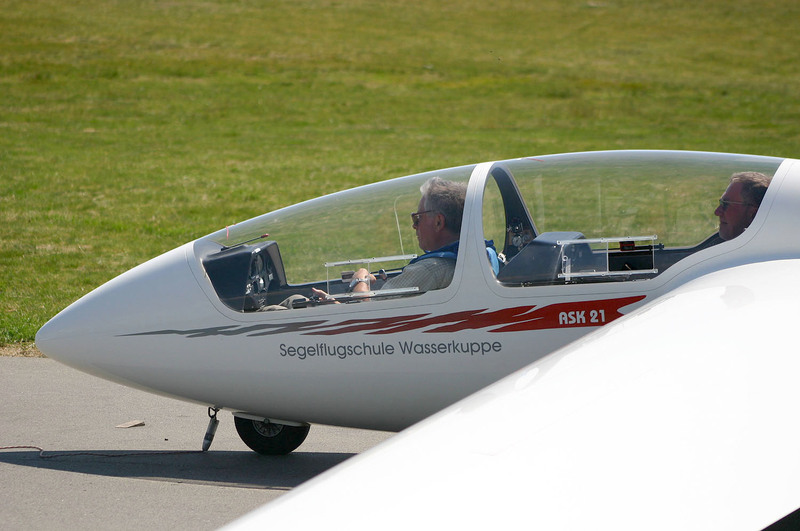 The ASK 21 enables also pilots with disabled legs to do gliding. 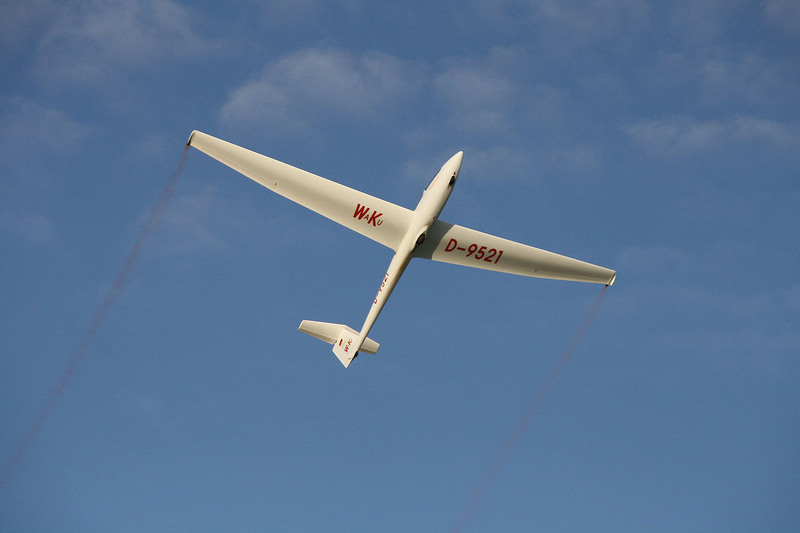 Schleicher offers to this purpose a modification kit. 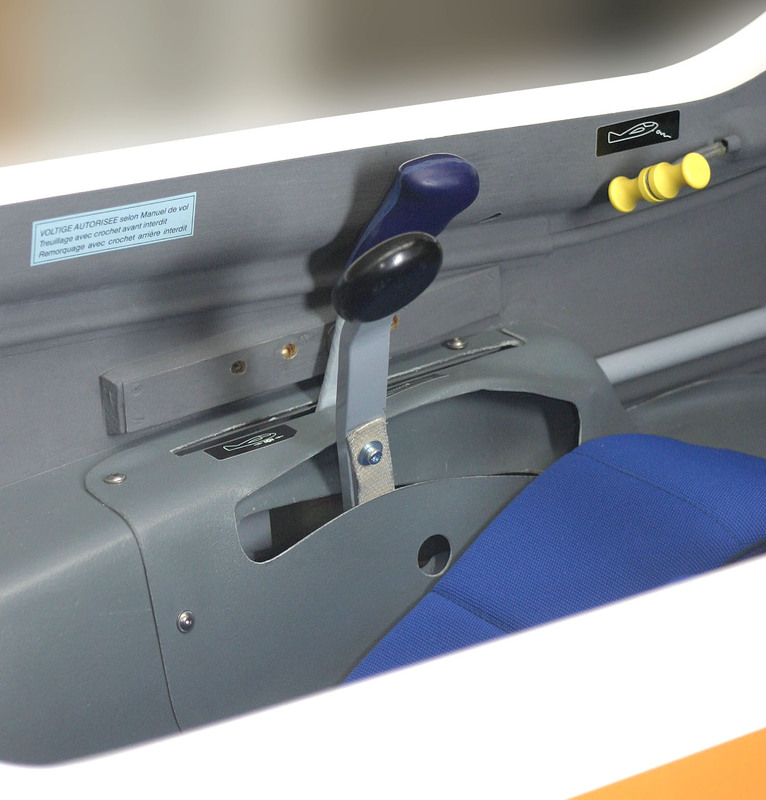 The rudder is actuated by means of an additional hand lever at the left cockpit wall. 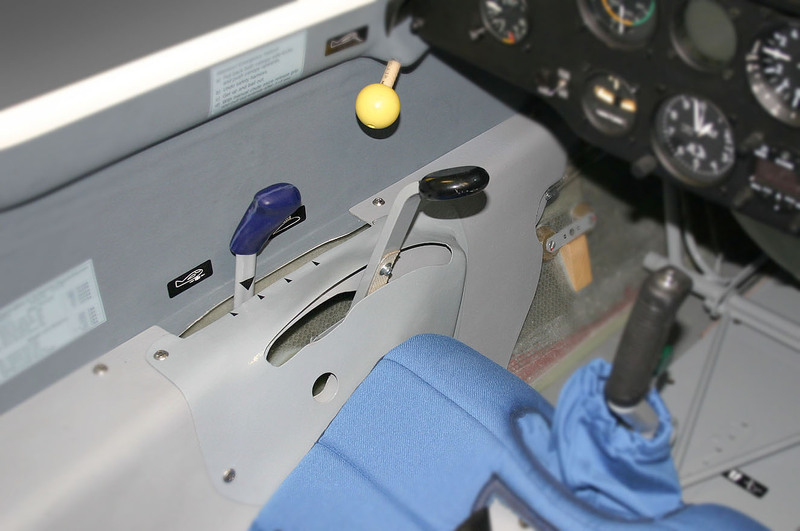 The airbrake lever engages in a similar way as a flap lever so that one hand is free to actuate the rudder. 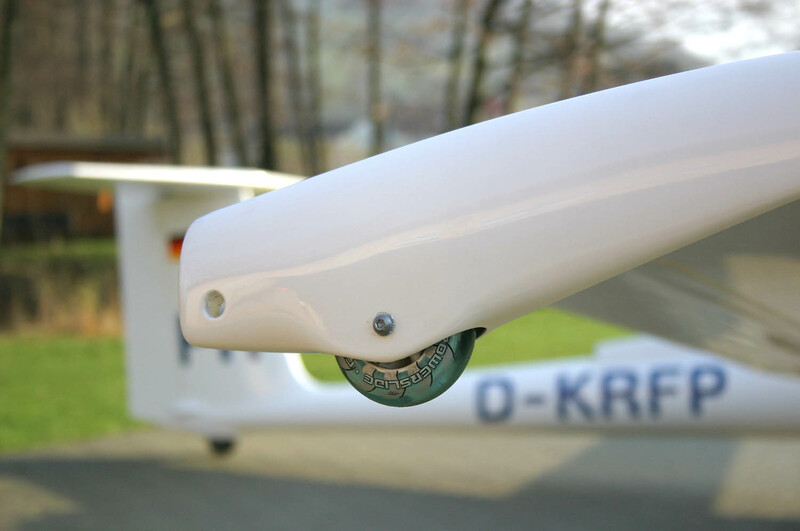 The additional actuating levers are easily and quickly removable so that the ASK 21 can also be operated in the usual way. 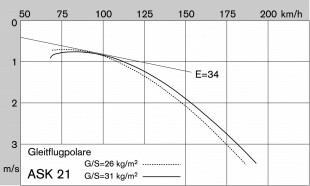 Experience with the operation of such modified ASK 21 has shown that the actuating levers are ergonomically very well laid out and stand out for low actuating forces. 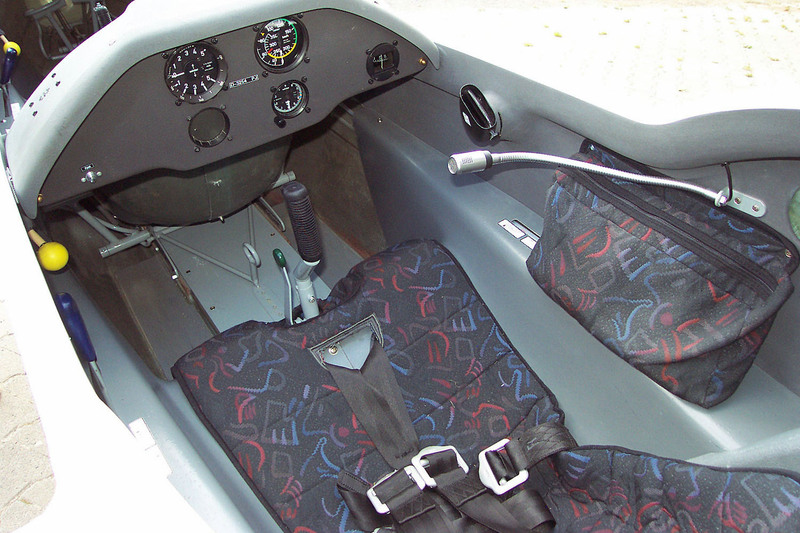 The installation of the hand lever is also possible in the rear cockpit. 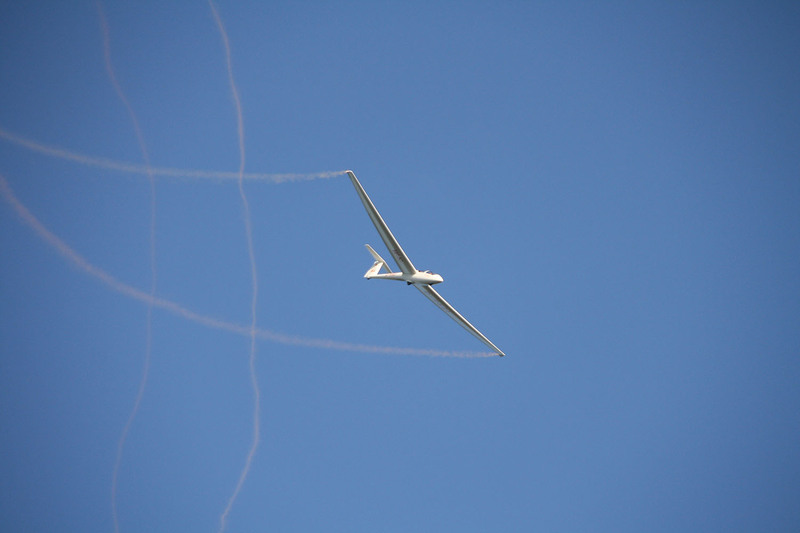 Interest group of physically handicapped people practising aerial sports inc. 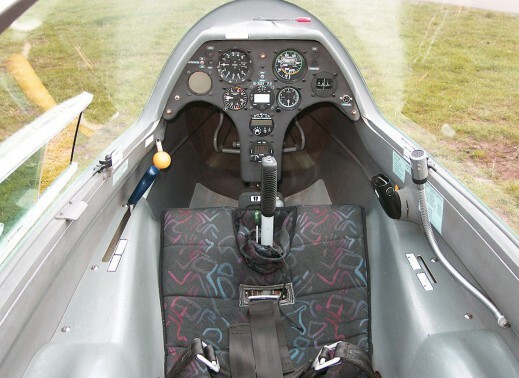 Even if there is a high cockpit load, a spin ballast can be installed on the fin in order to use the ASK 21 Mi as a spin trainer. 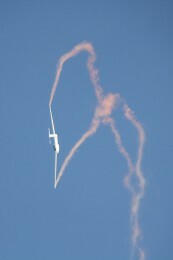 Hereby a backward in flight C.G. 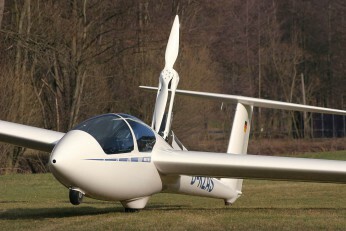 will be made.